90.90 KVDG Guadalupe Radio Netw. 1180 KLPF Guadalupe Radio Netw. 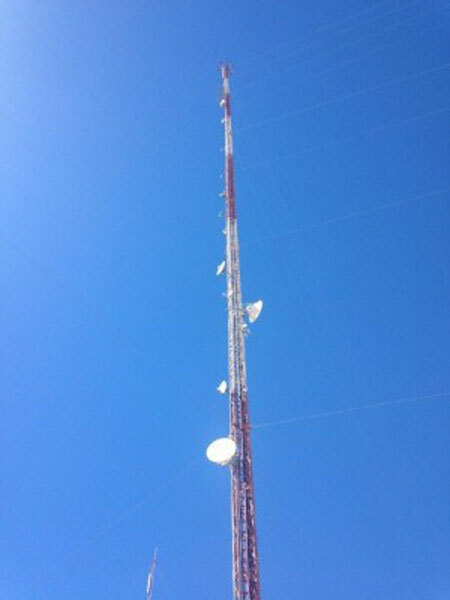 Gardendale north of Midland and Odessa is home for several high broadcasting towers, including 1134 ft (345.6 m) tall guyed Pinnacle Broadcasting Tower used by KMID-TV (ABC Ch. 2), KPEJ-TV (Fox Ch. 24), KLVW 90.5 FM, KNFM 92.3 FM, KQLM 107.9 FM and 1132 ft (345 m) tall guyed Nexstar Broadcasting Tower used by KMRK 96.1 FM, KMCM 96.9 FM and KCRS 103.3 FM.